Mes track prochinmont ragawi soufiane www.s-one-klrs.skyrock.com. 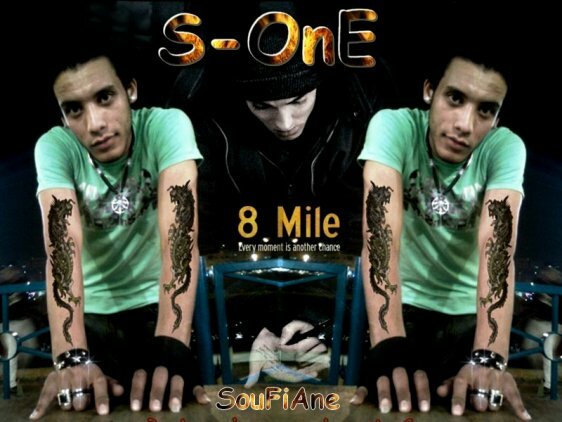 :) :) ewa tsanaw sda3 draga www.s-one-klrs.skyrock.com ragawi-s-one@hotmail.fr t mercii poure tt les fan et les amis de group senior-one raha raj3at l l les scen prochinment mawazin 2010. Titre : hadi hiya 7yati /fit yos hak-lik. Album : 3in man dam .solo. Titre : mafia wm /fristyle /*_*/ kamlin sont mixag.black-one. festival mawazin A fes ac lilchock.